THIS GALLERY IS SOLD OUT! 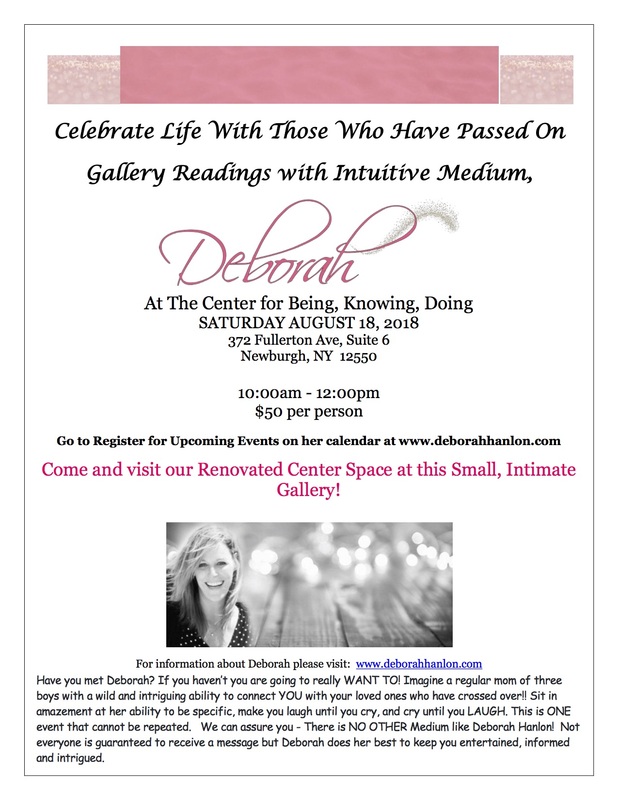 Join Deborah Hanlon at her Center as she connects YOU with your loved ones who have crossed over!! Sit in amazement at her ability to be specific, make you laugh until you cry, and cry until you LAUGH. This is ONE event that cannot be repeated. We can assure you – There is NO OTHER Medium like Deborah Hanlon! Not everyone is guaranteed to receive a message but Deborah does her best to keep you entertained, informed and intrigued. $50.00 prepay for this Pre-Mother’s Day Gallery as it sells out!